Membership based on students who are now studying in Hong Kong or overseas tertiary institutions, membership is non-transferable. Holder of a valid ID card or passport. Applicants should provide a valid student documents. Applicants are required to fill out the membership form as download in the below section, HKFEC board will review each application for approval. The board of HKFEC is responsible for monitoring the entire selection criteria and have absolute power to accept or reject any applications. Annual membership fee is FREE of charge. 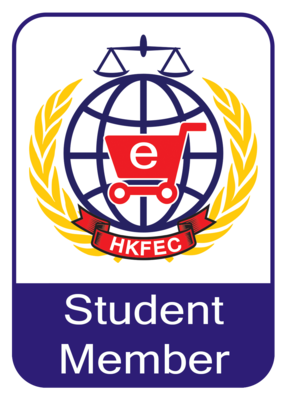 Complete application form as download in below section, together with valid student documents, HKID and student ID copy Fax to +852-21173989 or E-mail to support@hkfec.org or send to HKFEC office: Room 1011A, 10/F, Harbour Crystal Centre, 100 Granville Road, Tsim Sha Tsui, Kowloon, Hong Kong.